Allow the ski valet to retrieve your gear, stroll out onto the piste, glide onto the Ace Family Lift and start your journey up the mountain and Niseko’s famous powder snow. 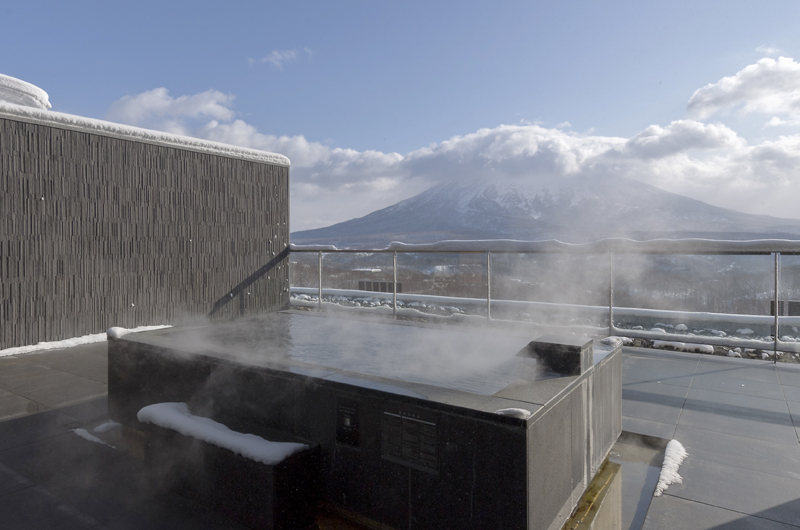 AYA Niseko sets a benchmark in style and exclusivity, coupled with Japan’s famous quality and hospitality. “Aya” weaving – an ancient form of fabric used for imperial and Buddhist clothing – was the architect’s inspiration for the building. Interlocking weaving decoration and design themes can be seen throughout the building – it’s essentially a work of art itself. 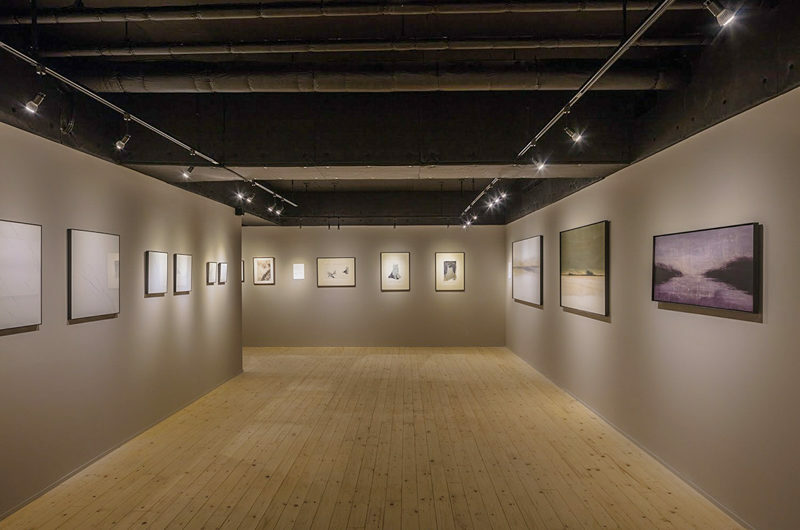 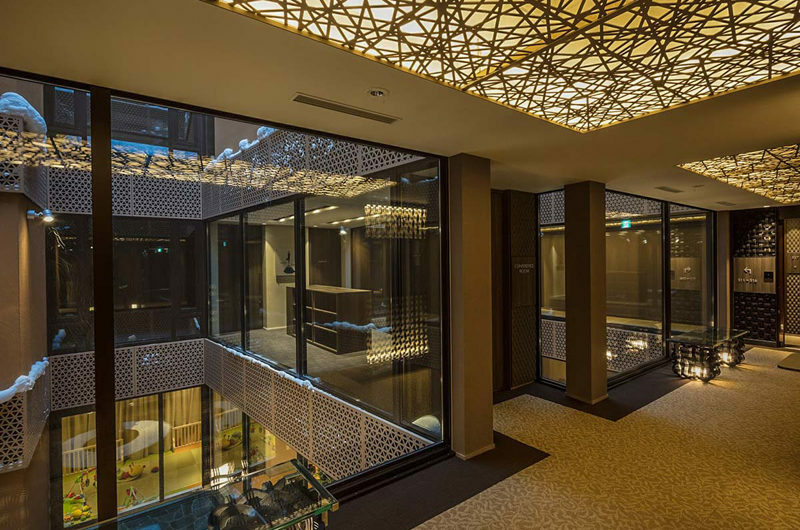 Inside the architect has and taken every opportunity to showcase art and artistic design, and there’s even an art gallery in the building. 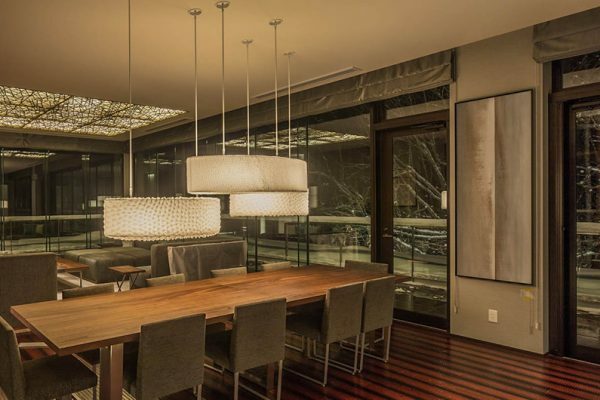 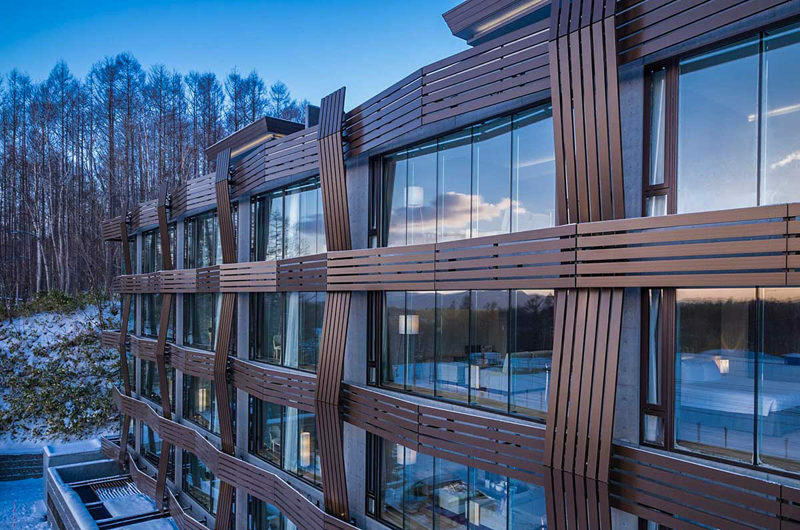 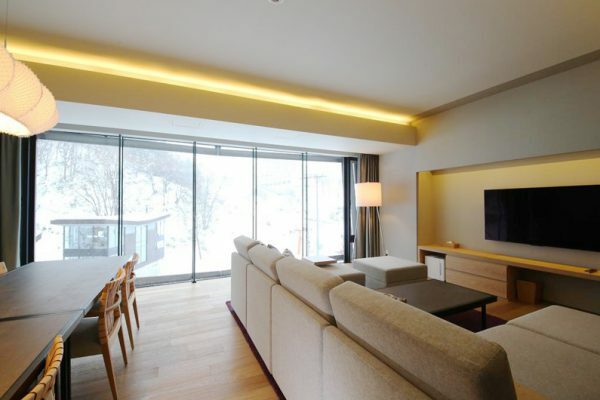 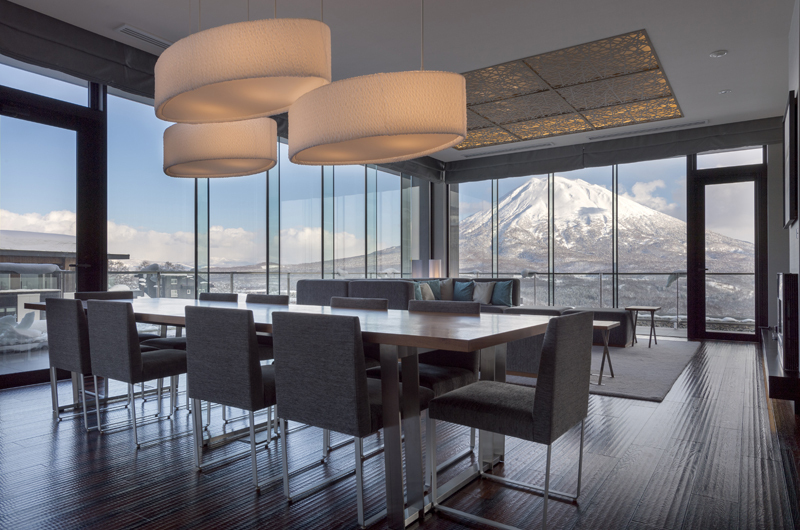 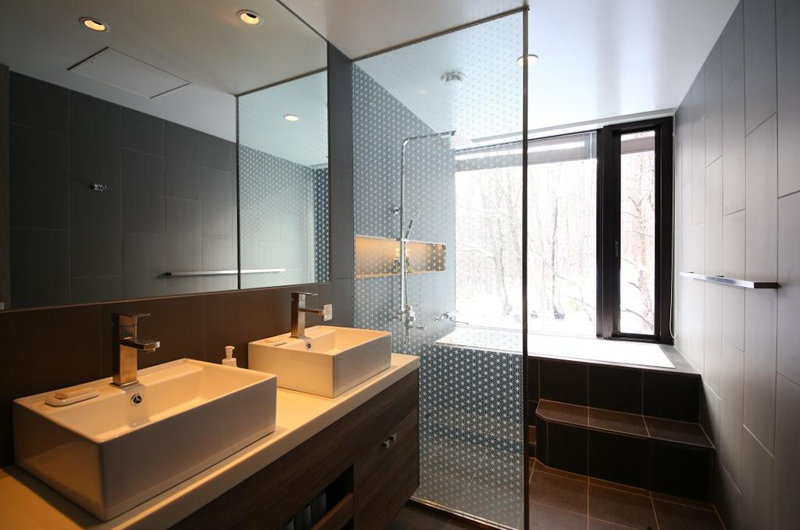 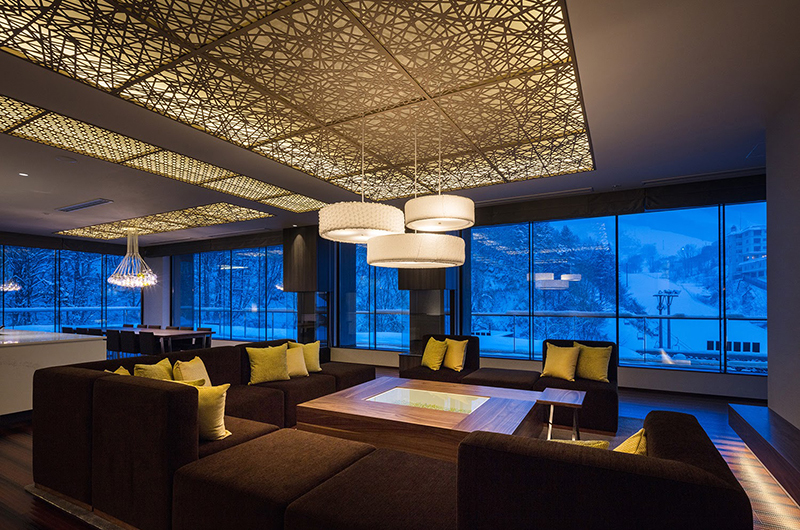 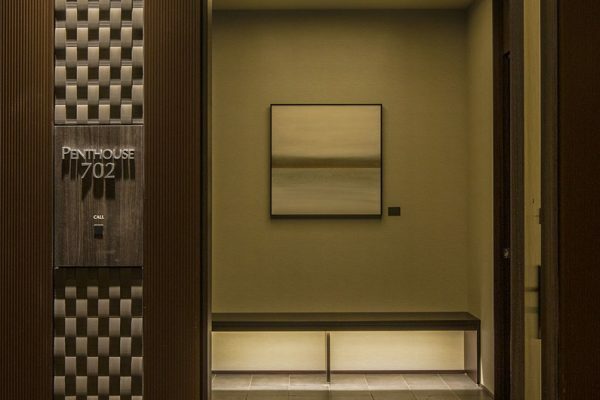 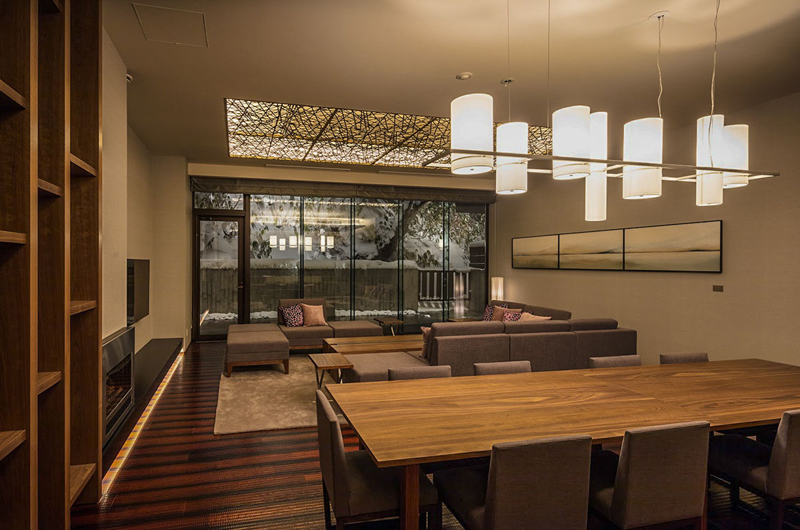 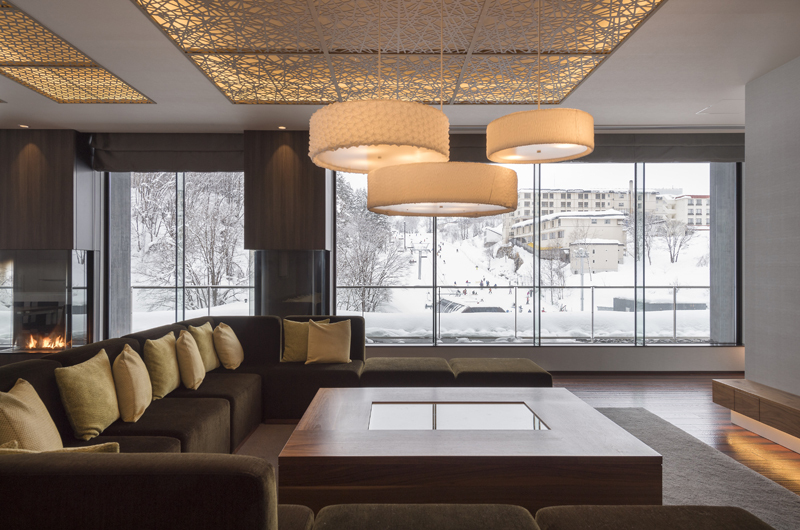 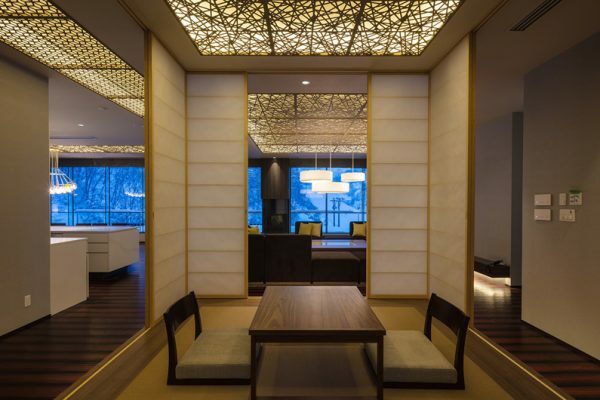 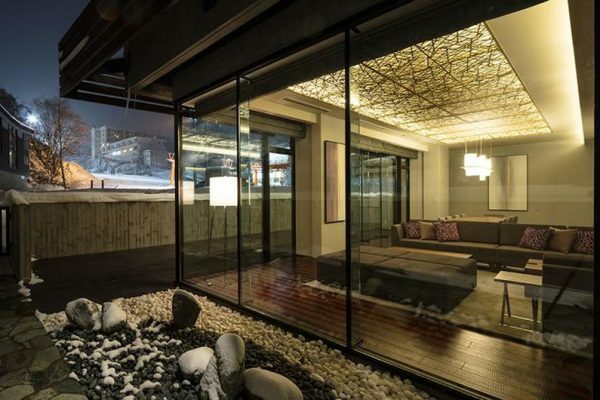 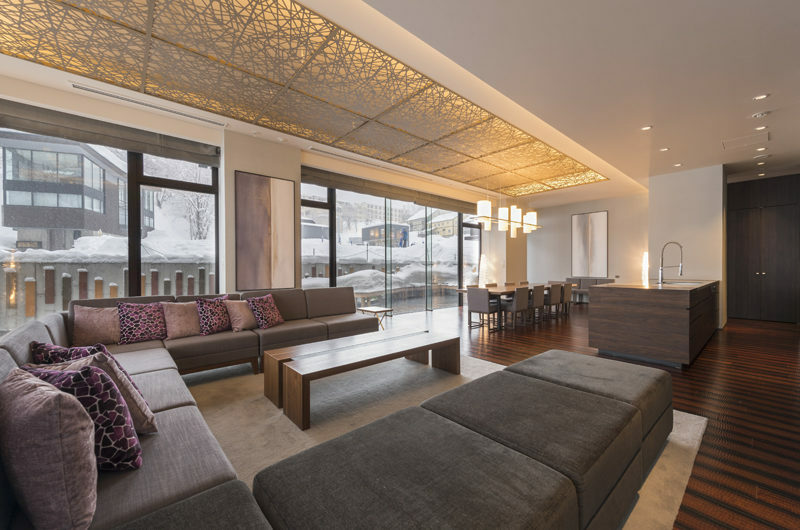 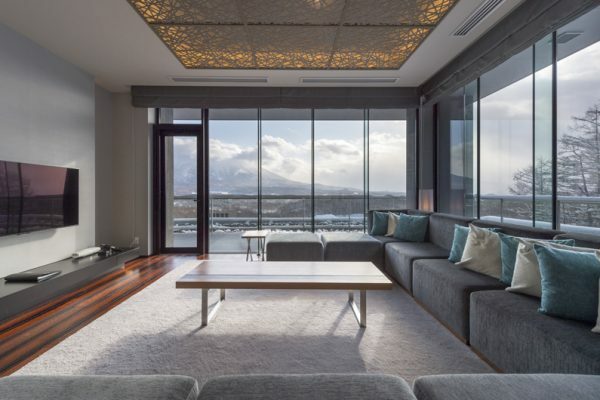 The Penthouse apartments and ground-floor Residences are among the biggest and most extravagantly appointed apartments in Niseko. 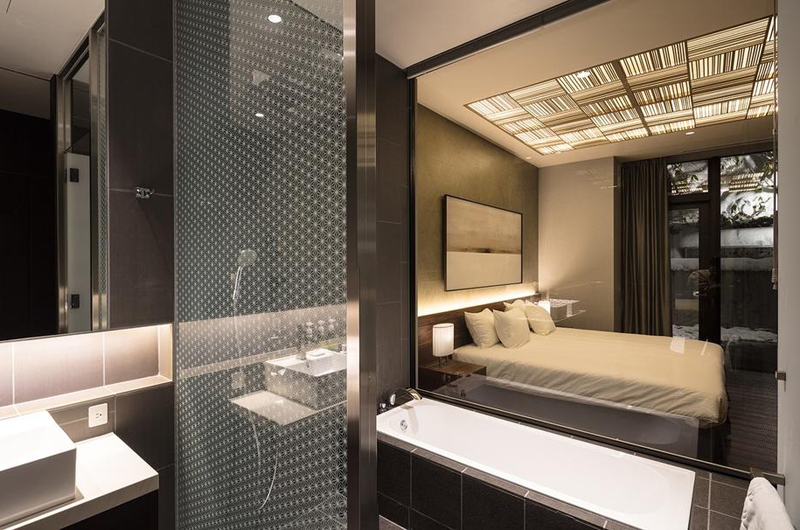 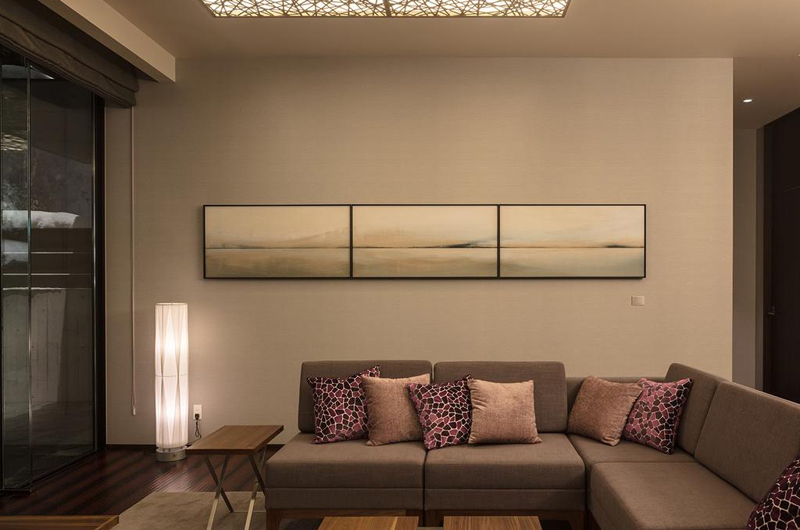 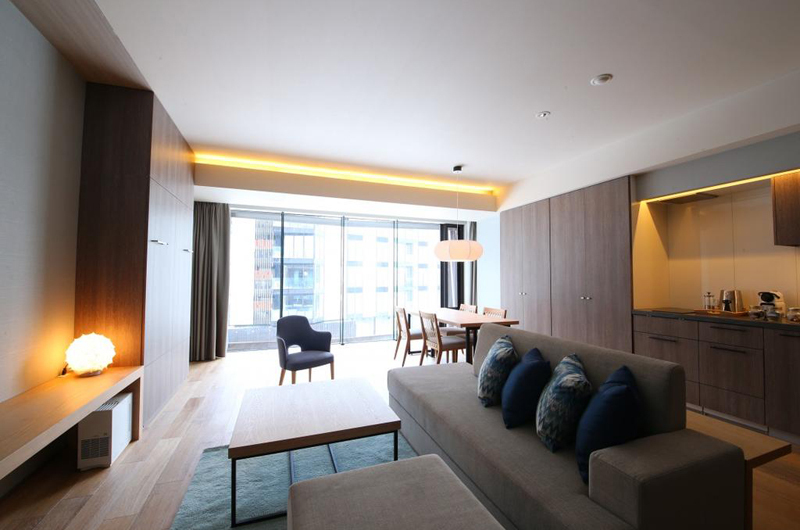 Ranging from 3 to 5 bedrooms (all with ensuite maid’s rooms) across 220-370sqm, all these premium apartments have real onsen hot spring-fed baths. 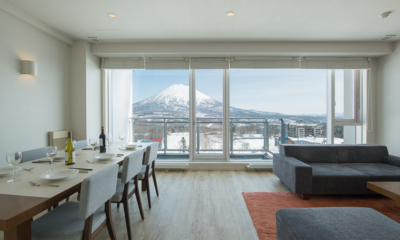 The residences are literally the closest apartments to a ski lift in Niseko. AYA’s apartments are wonderfully spacious and exquisitely furnished with bespoke furniture and luxe-level kitchens and bathrooms. 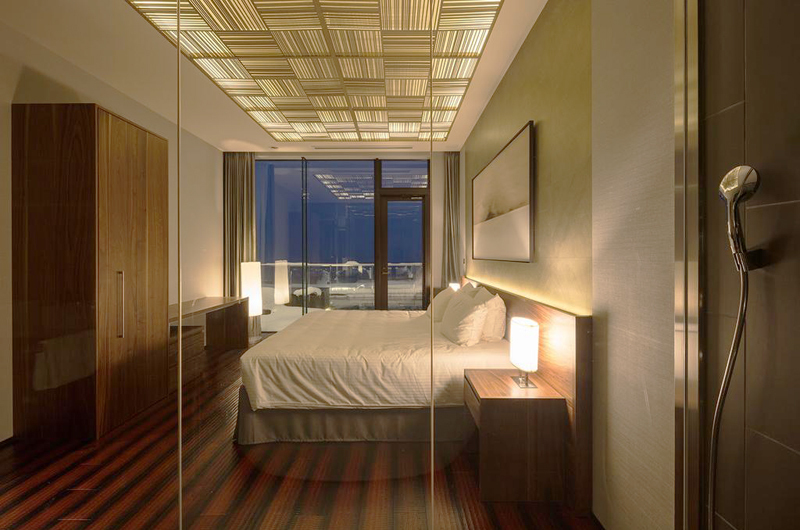 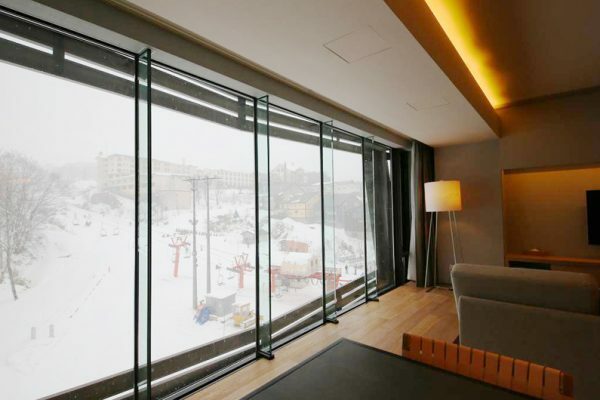 Floor-to-ceiling, wall-to-wall windows amplify the beauty of the surrounds while underfloor heating keeps the apartments wonderfully warm and cosy. 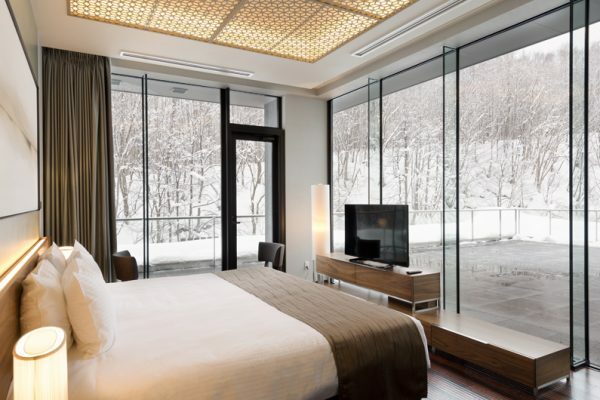 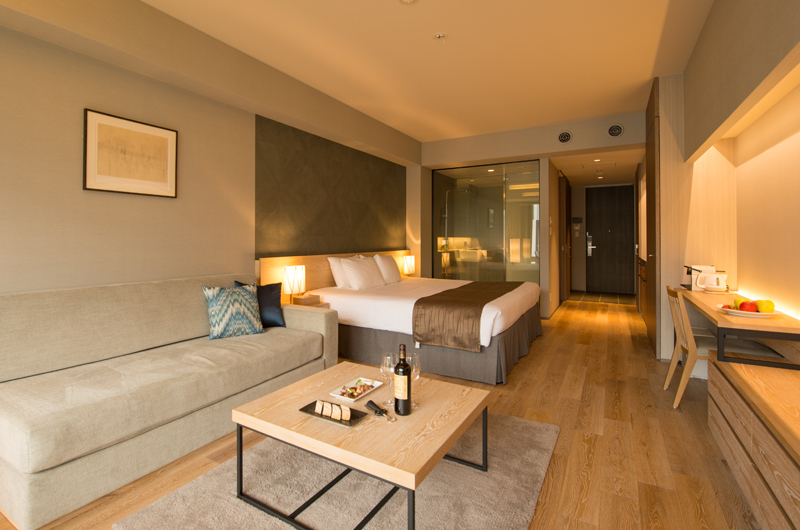 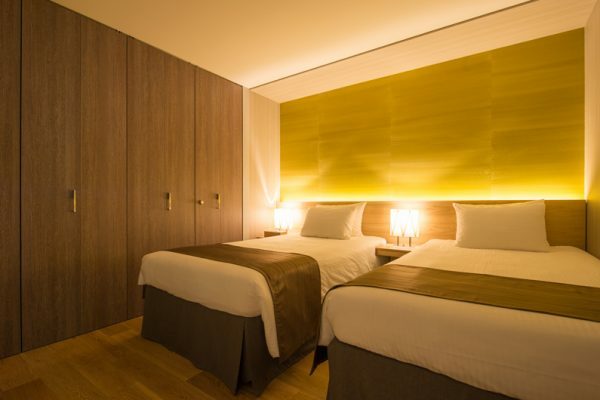 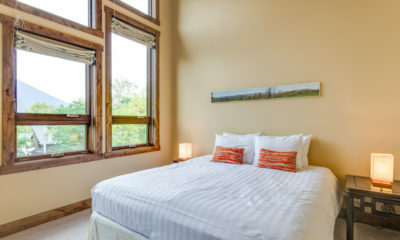 All rooms have floor-to-ceiling windows and views of either the ski slopes, Mt Yotei or the snowbound forest alongside. 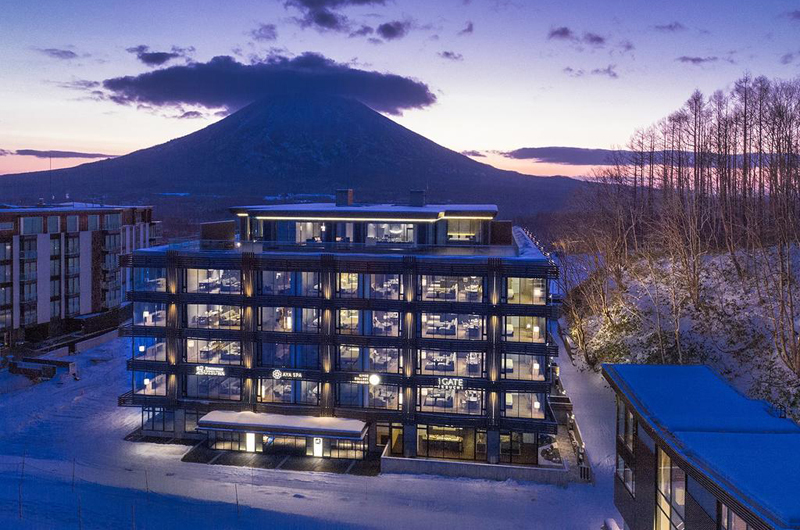 AYA Niseko has two minimalist hotel-style rooms with no food or dining amenities for those who just need a place to sleep. 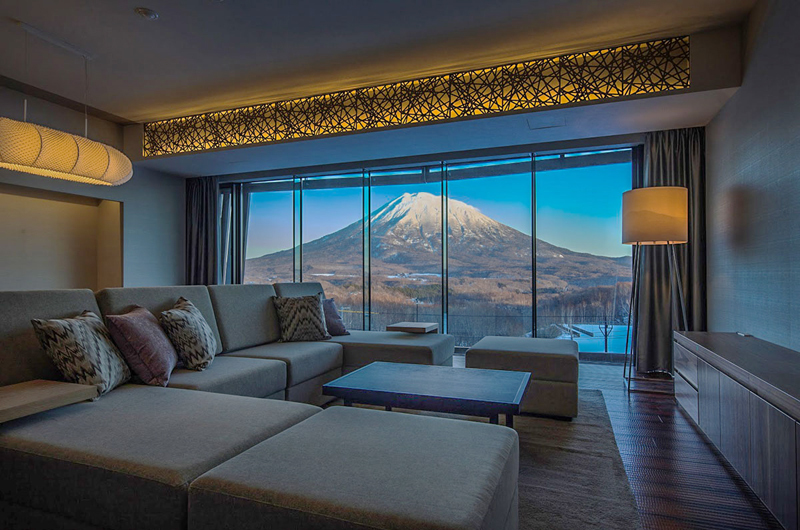 AYA Niseko has 12 studios with luxe-level kitchen and bathroom sleeping two in beds and one in a fold-out sofa bed in the living room. 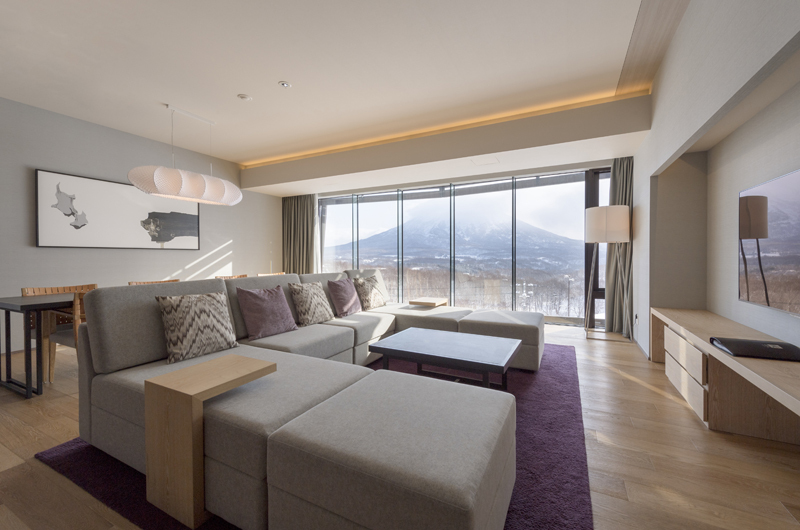 AYA Niseko has 12 apartments with a partitioned bedroom and a fold-out semi-double wall bed (murphy bed) in the living area. 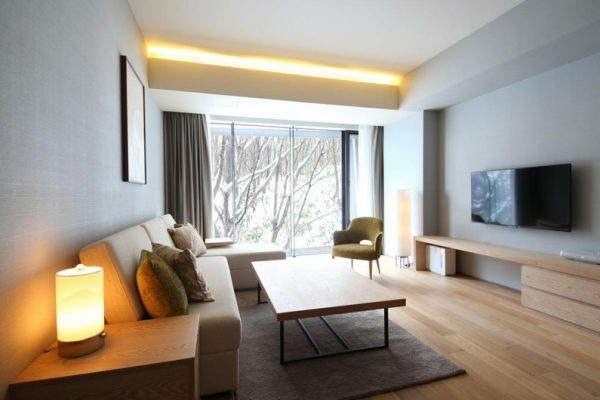 Futon available on request. 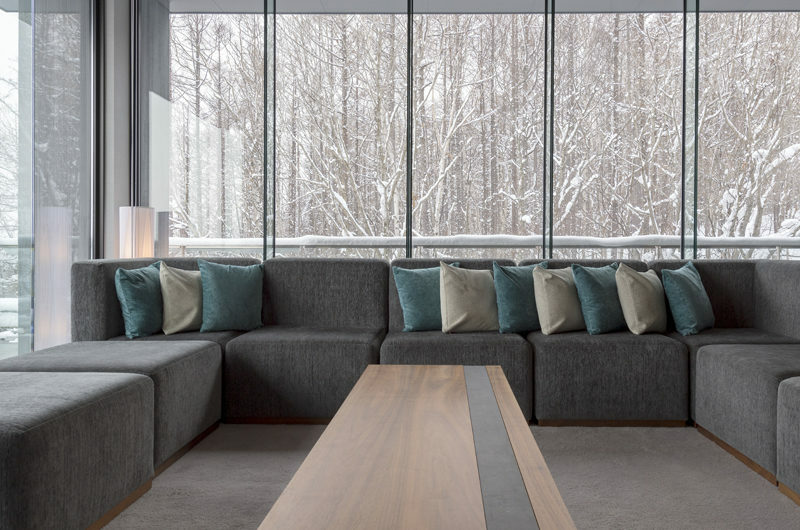 Floor-to-ceiling windows in master bedroom and living room showcase views of either the secluded forests next to AYA Niseko, the busy ski hill or majestic Mt Yotei. 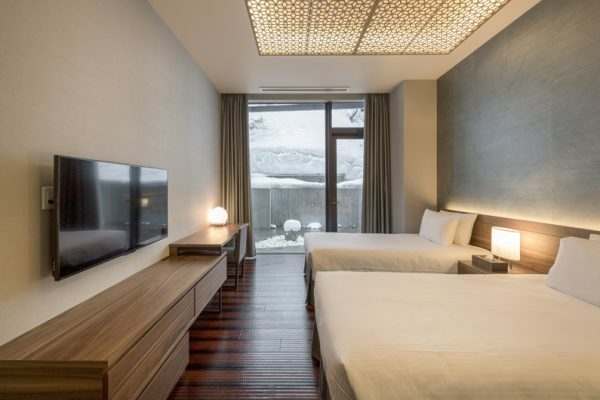 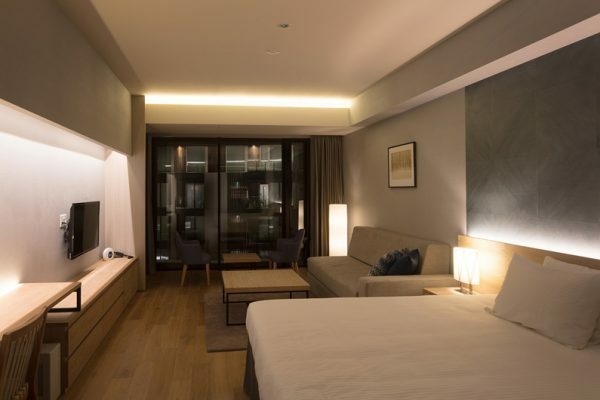 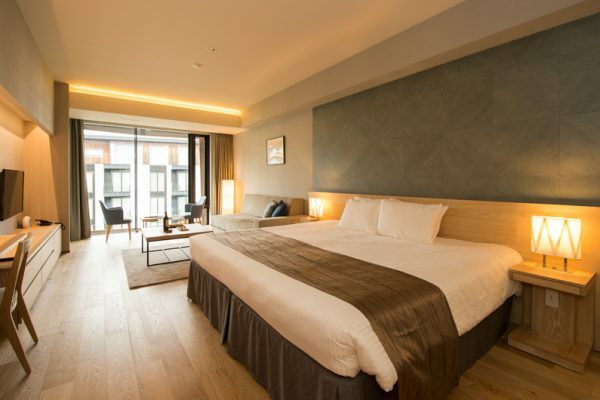 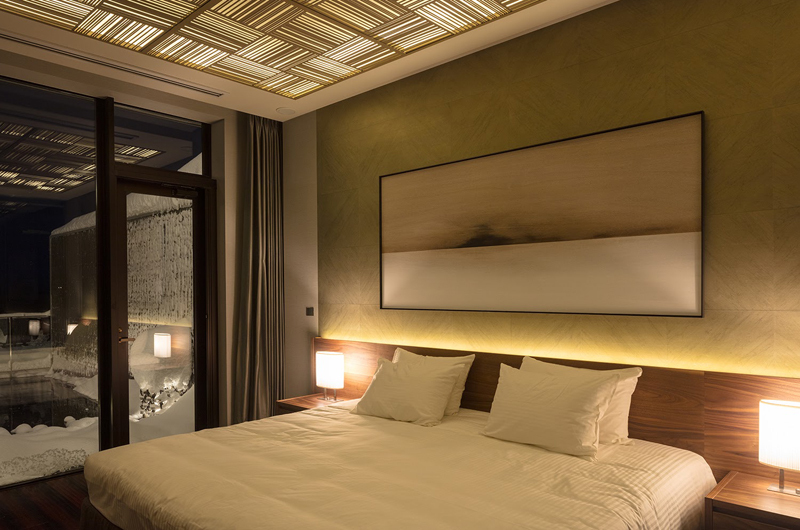 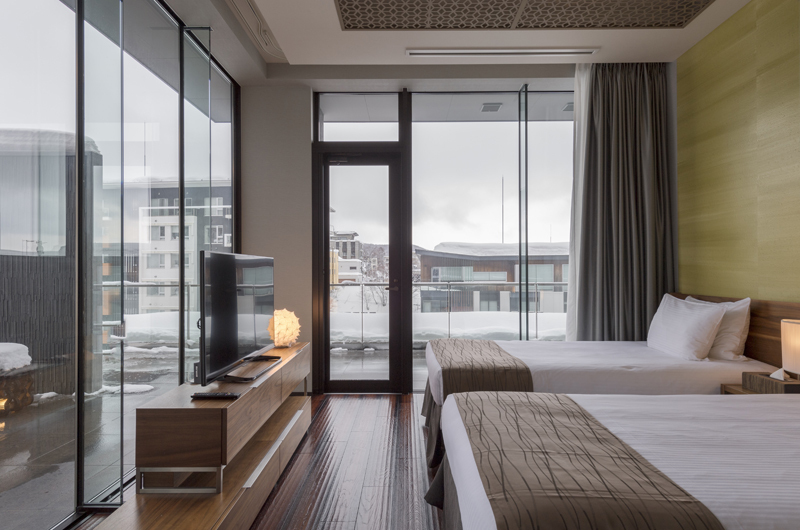 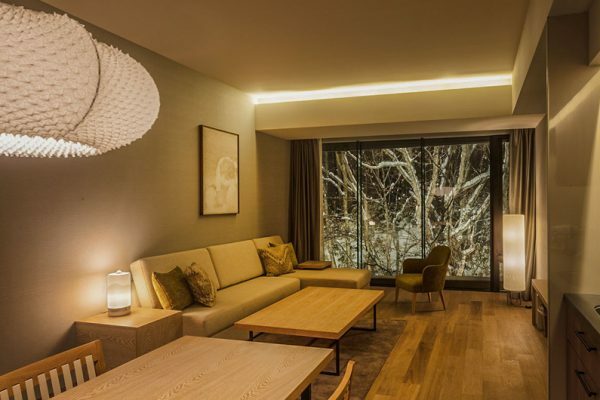 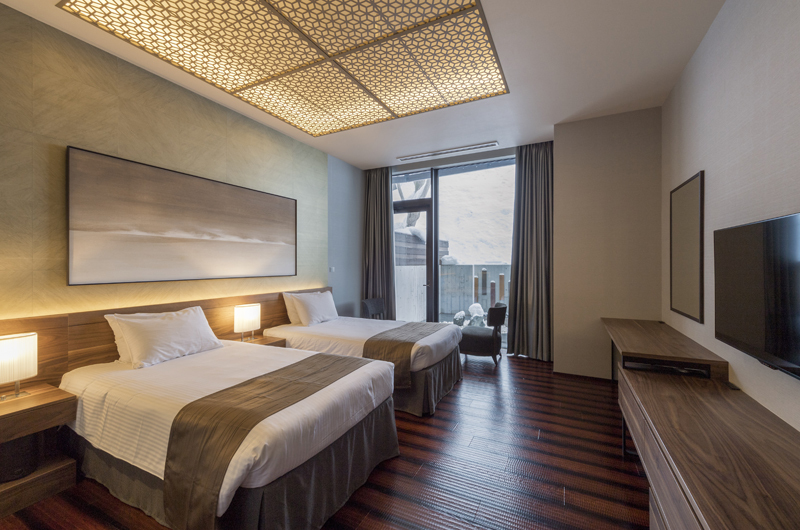 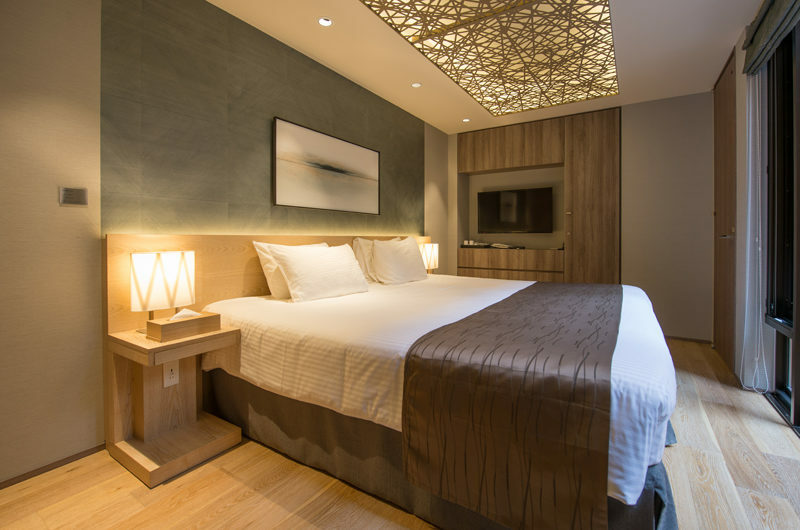 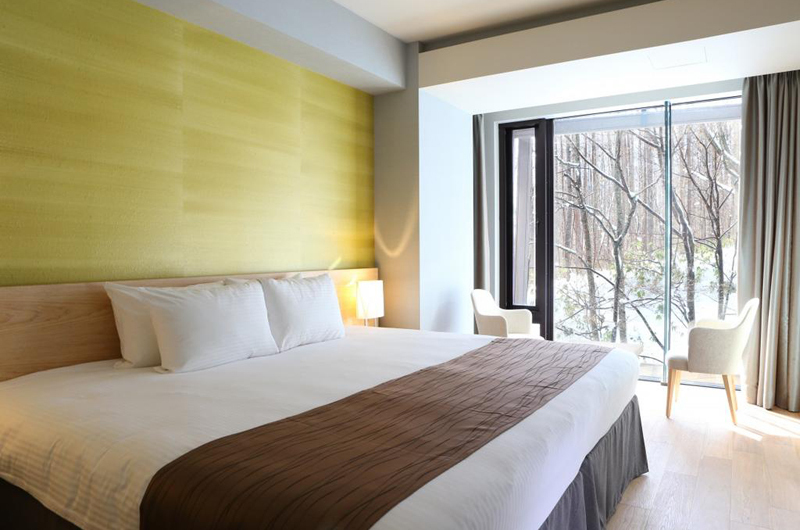 Master bedroom on the corner of the hotel features floor to ceiling vista views of Niseko’s most striking scenery: the village, the forest, Mt Yotei or the ski hill. 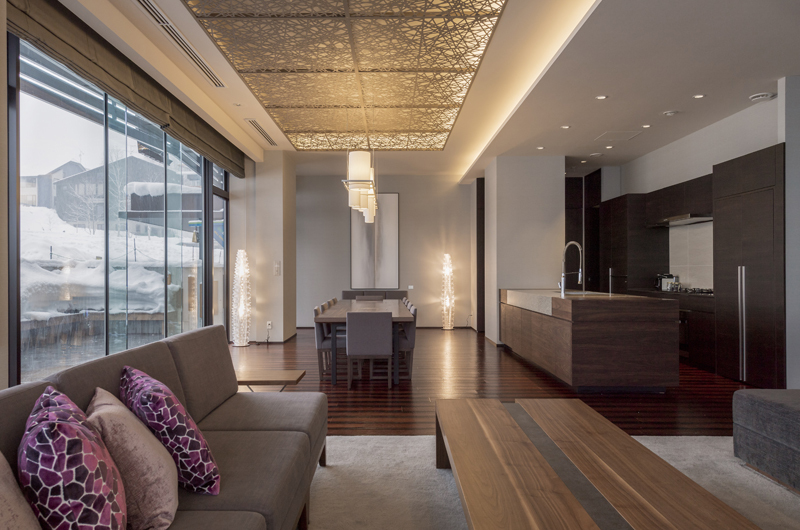 Bespoke furniture and hardwood timber flooring, high-end audio visual. Underfloor heating in living, dining, kitchen and bathrooms and full feature kitchen. Expansive dining area and full feature kitchen. 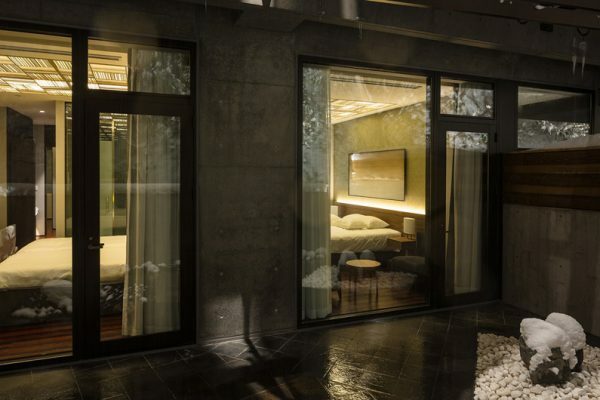 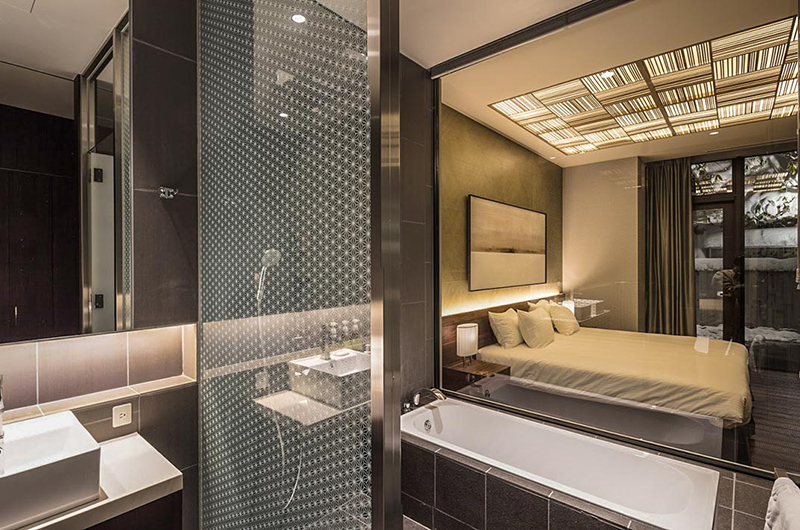 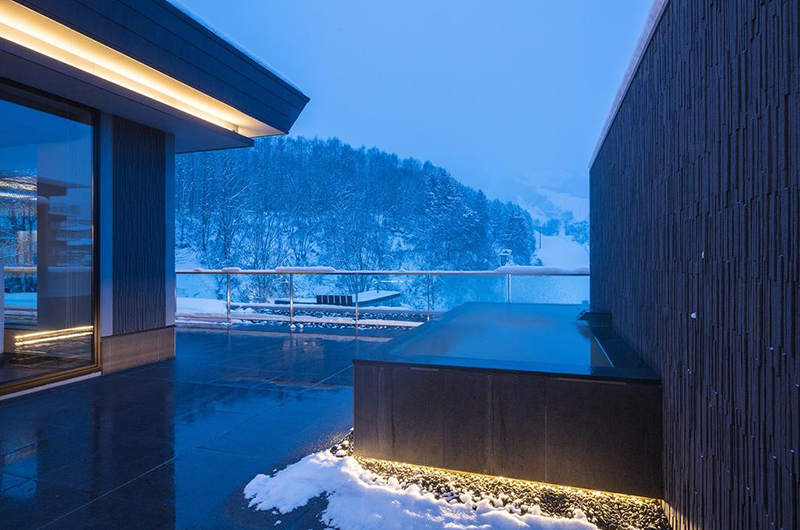 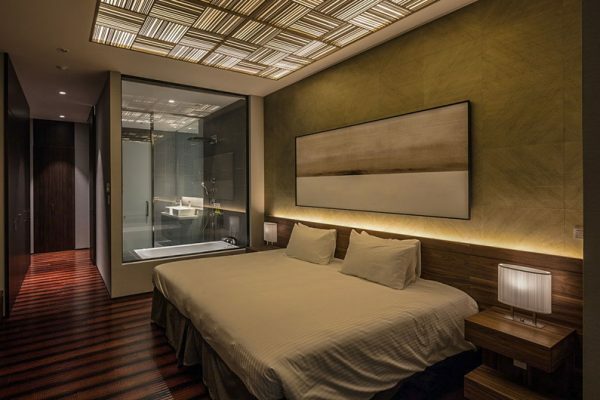 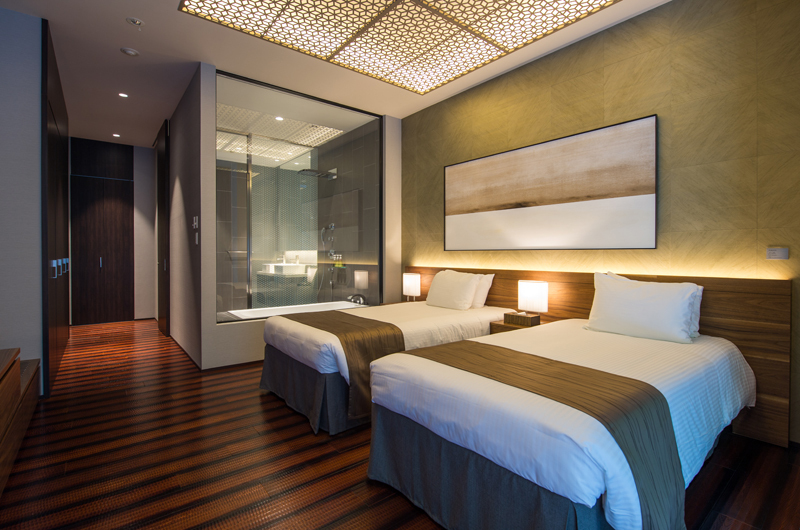 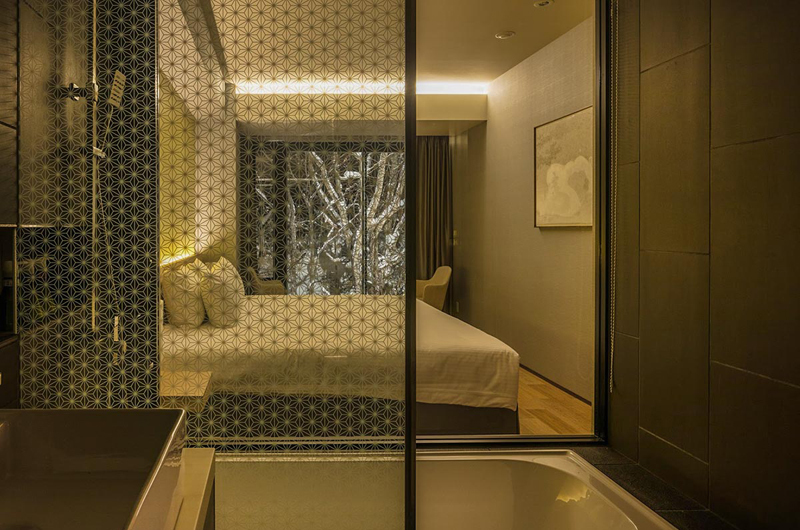 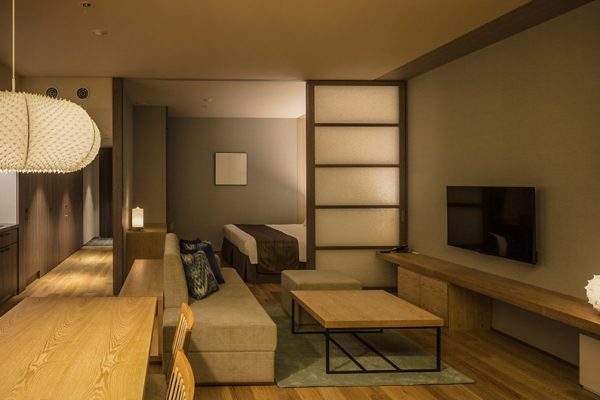 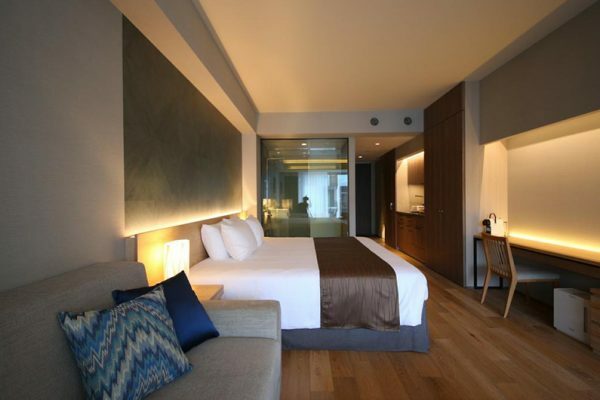 Master bedroom opens onto private indoor onsen hot spring with 100% pure onsen water. Separate entrance and private garden terrace features double door exit. Space to store own ski gear, the gate leads straight on to the ski slopes. Expansive dining area and full feature kitchen. 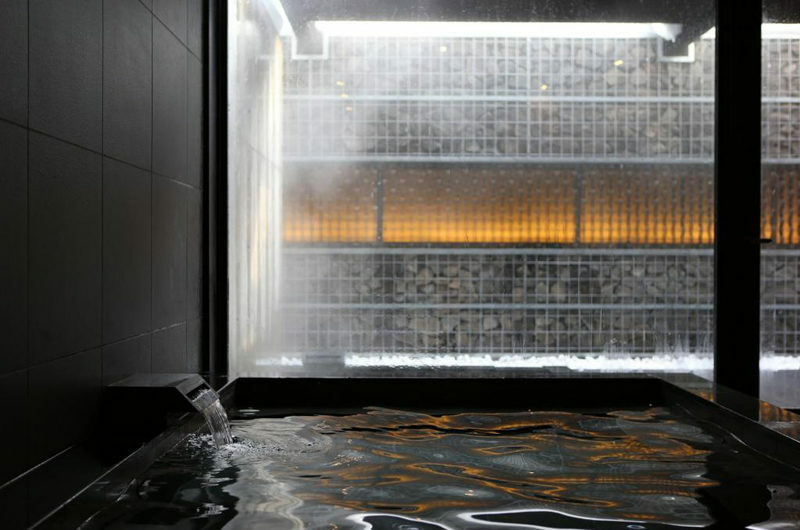 Private indoor onsen hot spring with 100% pure free-flowing natural hot spring water. Separate entrance and private garden terrace features double door exit. Space to store own ski gear, and a private gate leads straight on to the ski slopes. 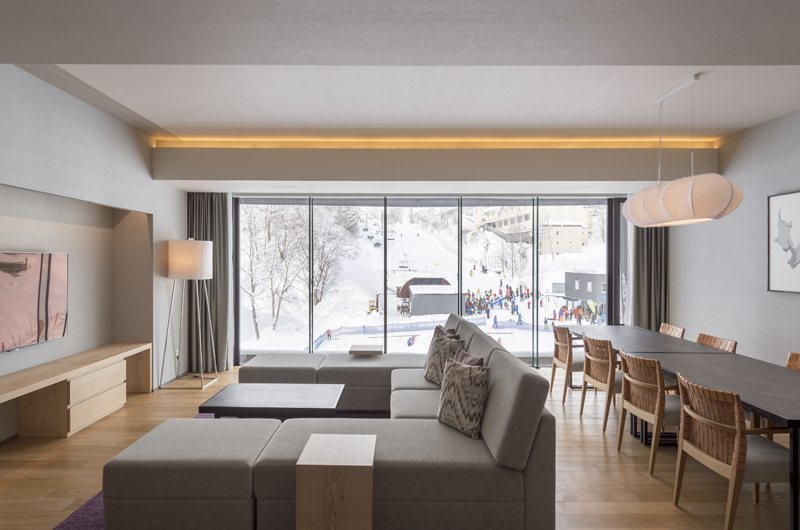 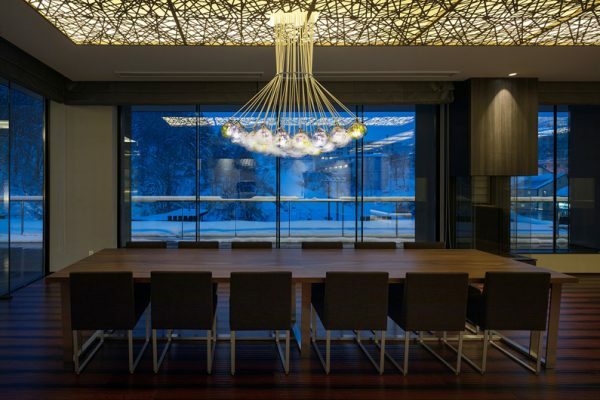 Open plan living and dining area looks out over the ski slopes. 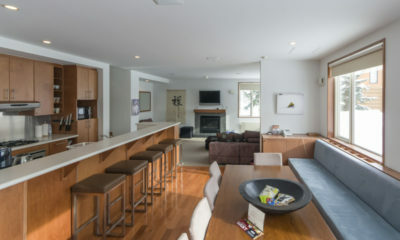 Full feature kitchen connects to extra storage and maid’s area. Expansive dining area and full feature kitchen. 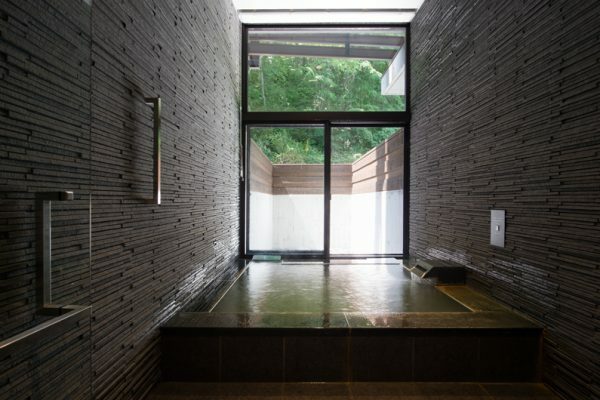 A special shower and change room leads out onto the private outdoor onsen hot spring with 100% pure free-flowing hot spring water. 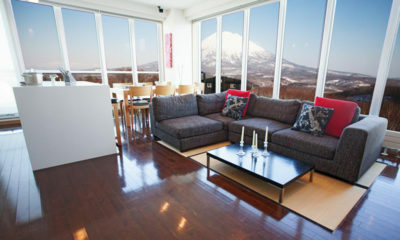 Open plan living and dining area looks out over private terrace and panoramic views of Mt Yotei. 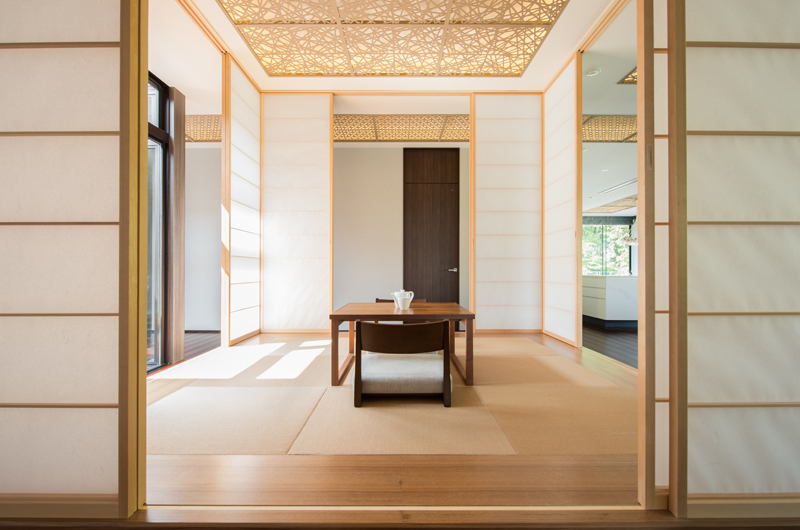 A private stone garden and tatami (traditional Japanese flooring) tea room evokes Japan. Expansive dining area and full feature kitchen look out over the ski slopes. A special shower and change room leads out onto the private outdoor onsen hot spring with 100% pure free-flowing hot spring water. 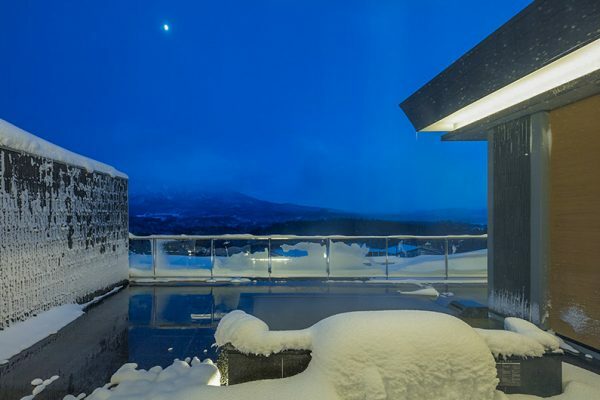 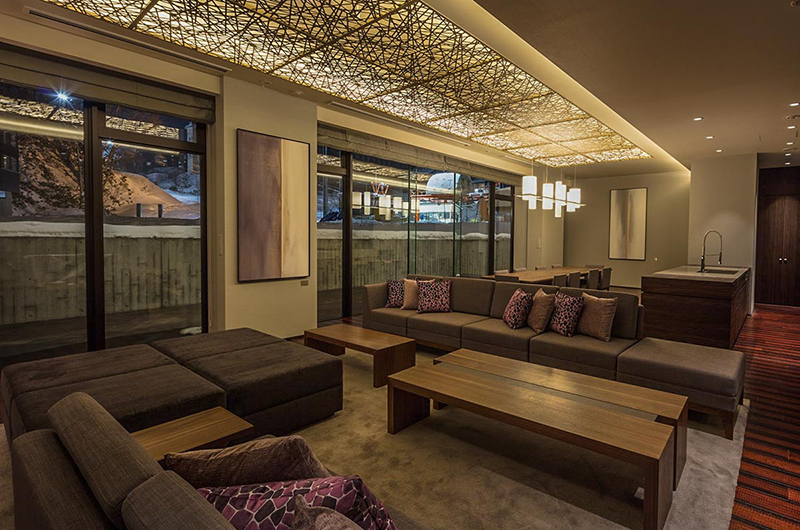 Private terraces showcase views of ski hill, secluded forest and Hirafu village. Open plan living and dining area with full kitchen facilities and extensive galley kitchen mean this penthouse is a perfect setting for in-house catering and entertaining. 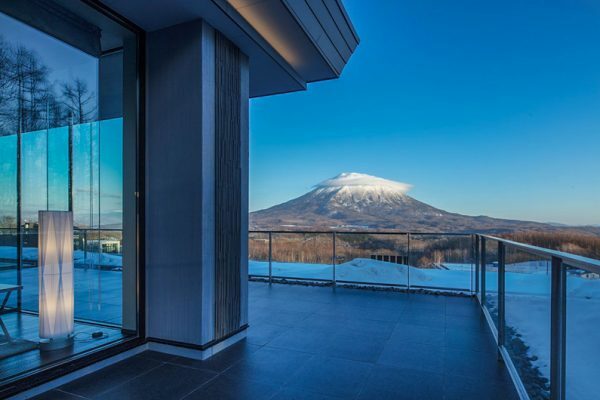 AYA Niseko’s location is literally as good as it gets. 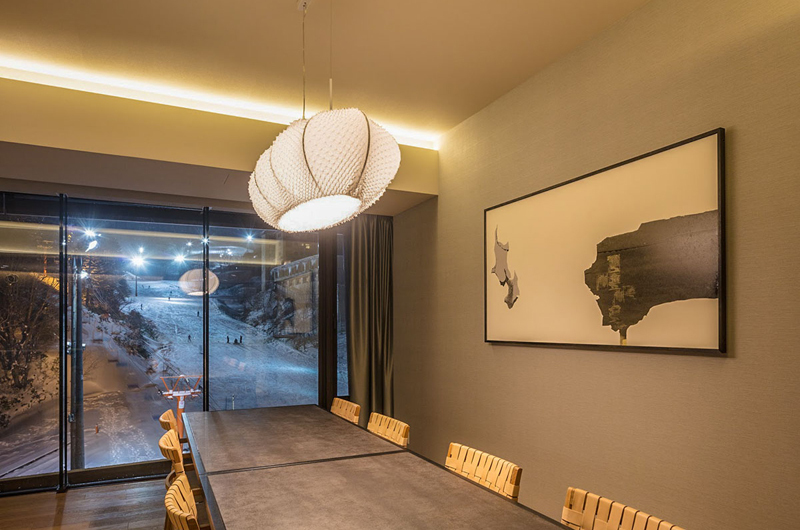 Located right on the Ace Family Run, it’s just seconds to the lifts and metres from the heart of the village. 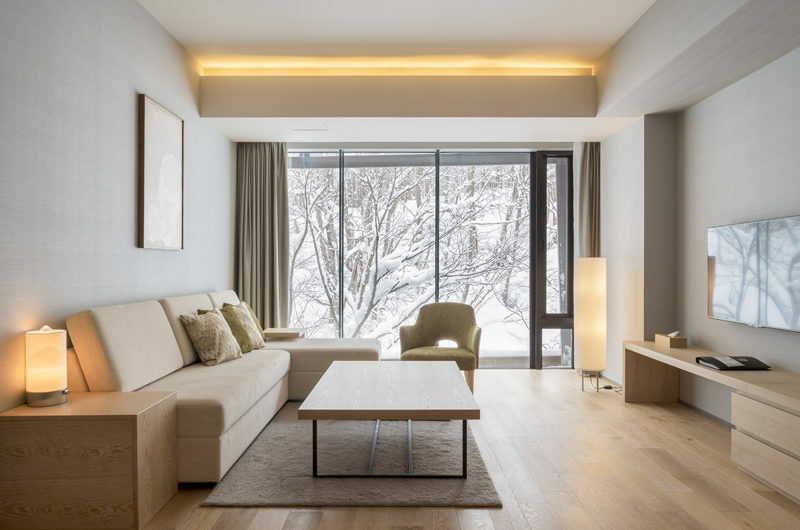 It’s a lively spot during the day as the family run is home to several of Hirafu’s ski schools, yet this pocket of Hirafu will be pleasantly quiet in the evenings as the main action is on the other side of the intersection. 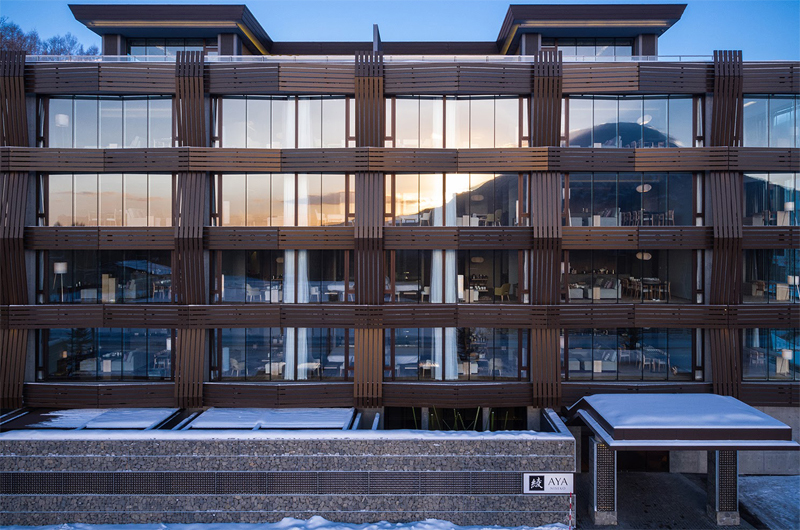 There is simply no comparison in terms of location – walk straight past the Front Desk and the ski valet will bring out your equipment. 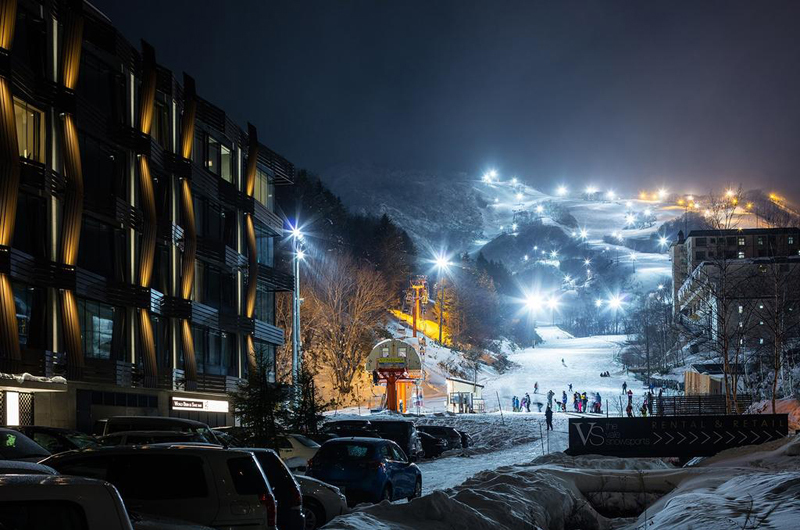 Gear up and the lifts are straight out the door. 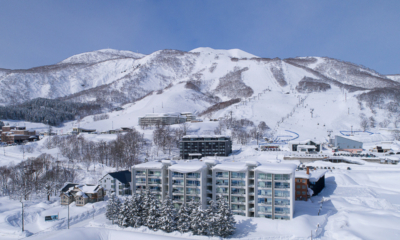 AYA Niseko also offers regular shuttles to the Welcome Center and Hirafu Gondola should you wish to circumvent the queues at the Family lift. 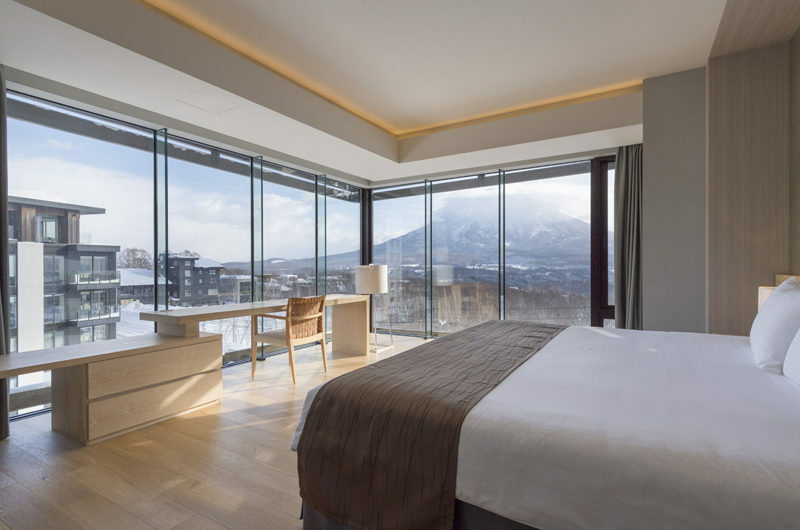 With Hirafu’s main intersection just on the other side of the Vale Niseko hotel, there is no shortage of restaurants, bars, shops and amenities just a few steps from your door. 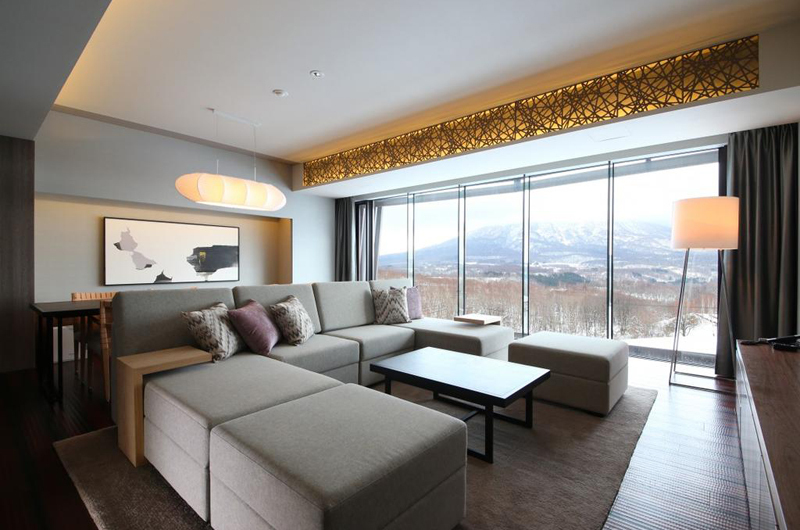 It’s a perfect base from which to dive into Hirafu’s gourmet culture, and the experienced concierge is also on-site to help guide you to all the best spots. 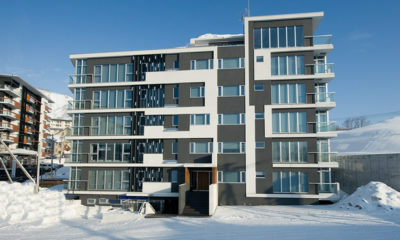 We had a wonderful 8 nights in our 2 room apartment , we don’t ski so we find that the apartment is very comfortable even for non skiiers like us. 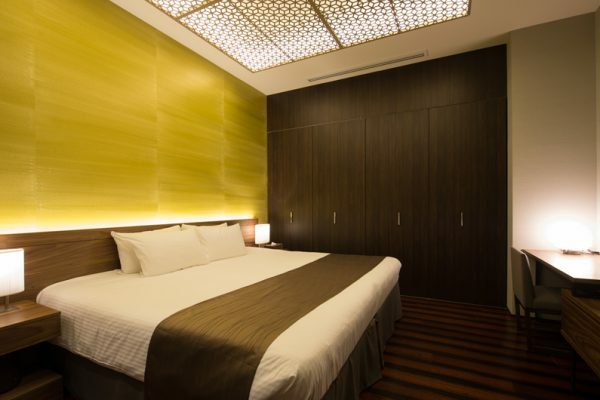 We love the cleaning of the garbage everyday and the replenishment of coffee and tea( though it would be nice to have 2 cups of coffee and tea instead of 1 would be nice) The receptiong staffs are very courteous and helper, it would be nice to have a mirror in the rooms and reading lights by the beds. Anyway, we are very happy staying there. We had the most amazing ski trip and it was helped by staying at Aya, gorgeous spacious and comfortable apartments, . 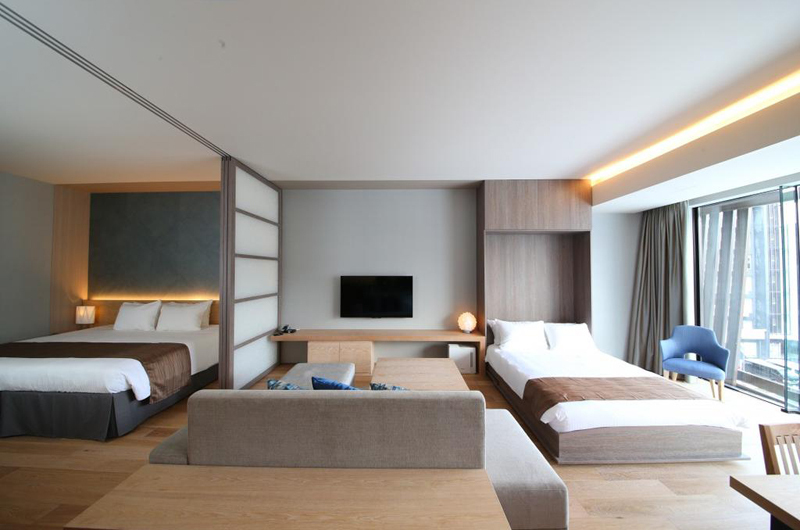 The hotel staff were so helpful and polite nothing was too much trouble. 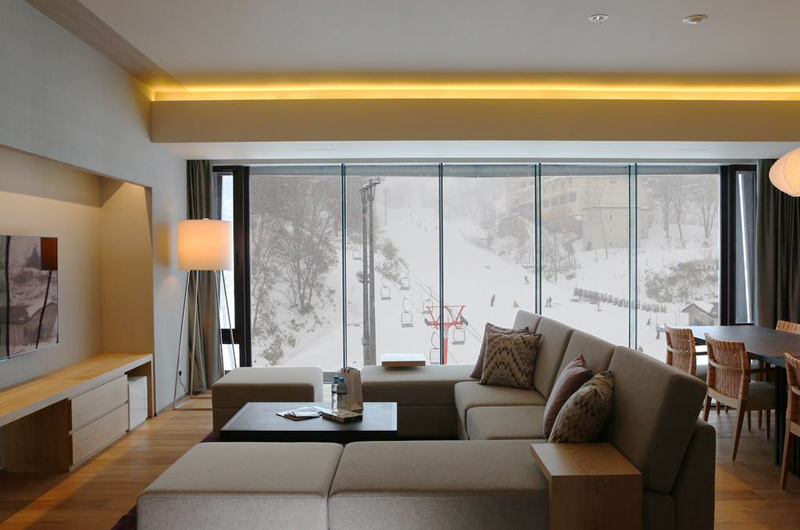 The ski in and out was fantastic made life very easy. 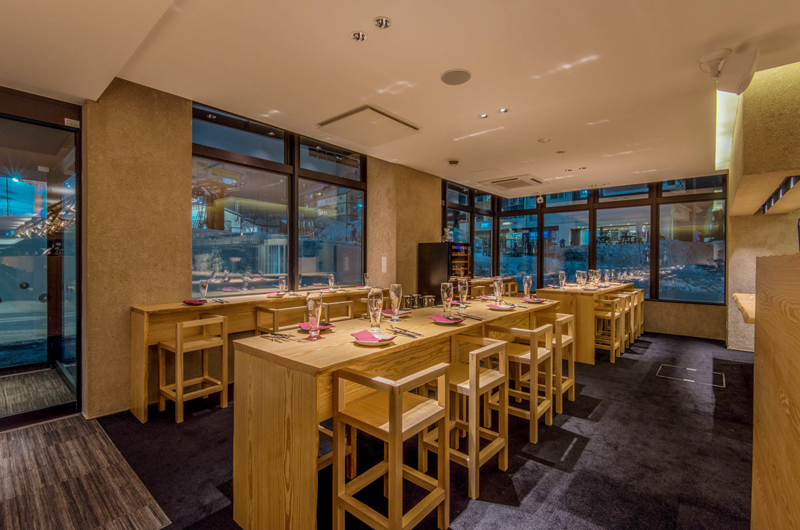 Ginger was lovely for lunch staff again fantastic. 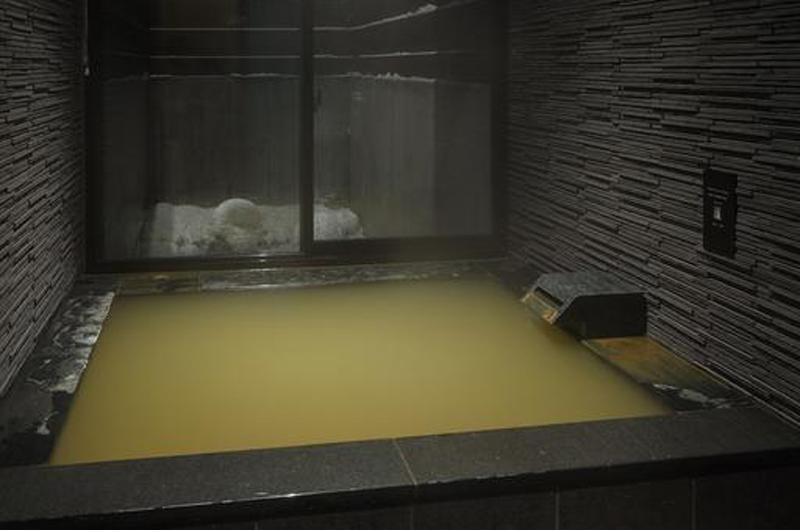 We all really enjoyed the Onsen. 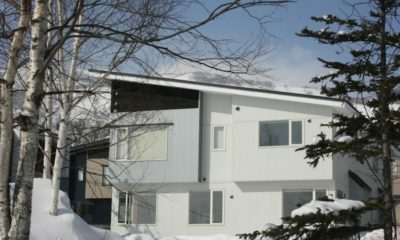 The whole family want to go back to Niseko and stay at Aya. 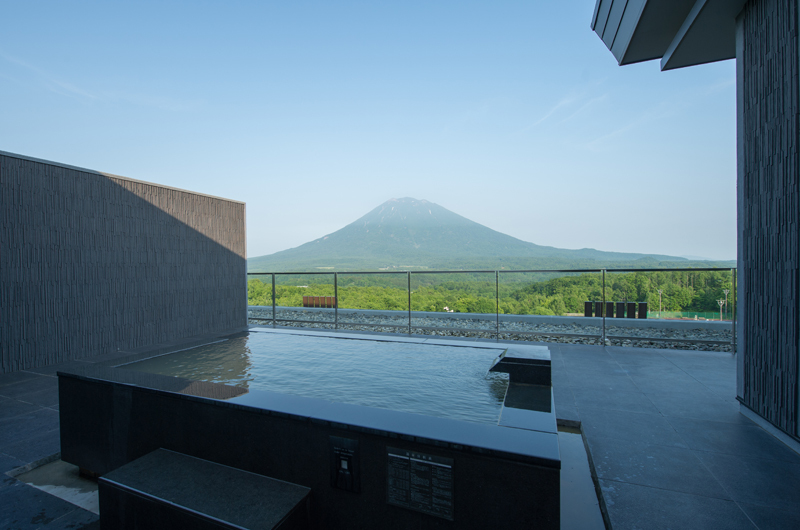 I had made up my mind to dislike Aya. 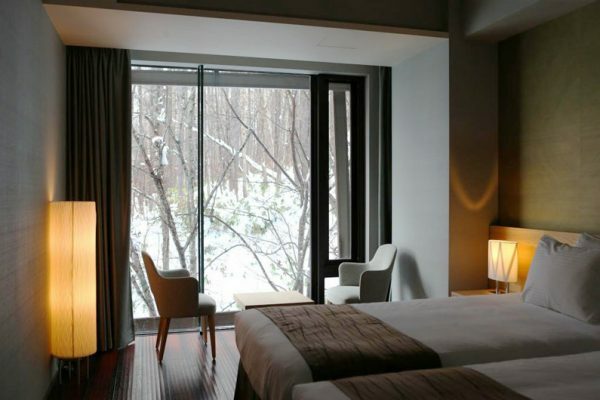 I was unable to get prompt replies to my emails before the trip and some emails were even ignored. 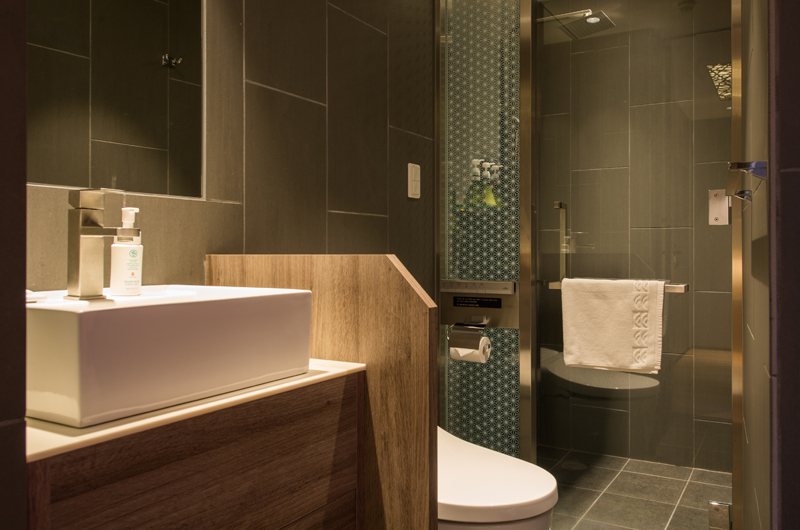 My girlfriends who booked via an agent had better response. However, upon arrival, I was pleasantly surprised by the excellent staff- Bonny, Verity and Juan were especially helpful and welcoming. 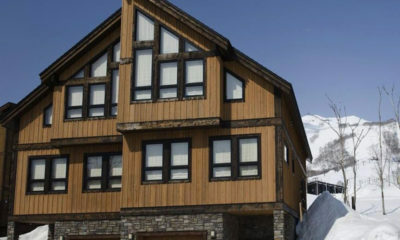 The convenience of the ski valet and the proximity of the chairlift and ticket office were also pluses. 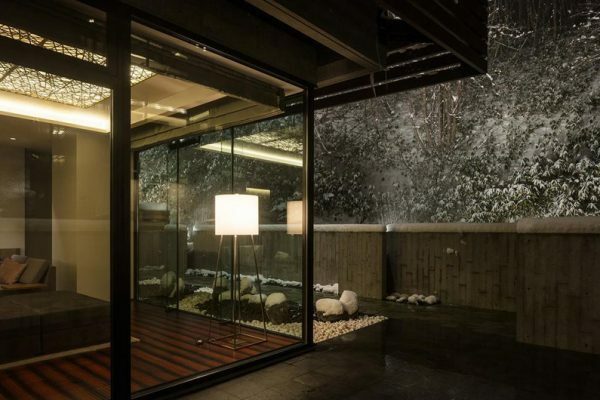 The outdoor Onsen was a nice addition too. 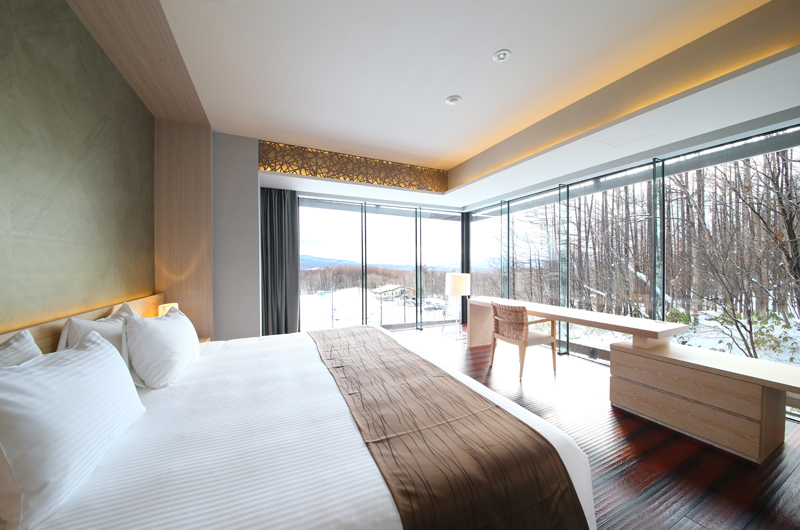 Go after 5 and u will likely to have it to yourself. 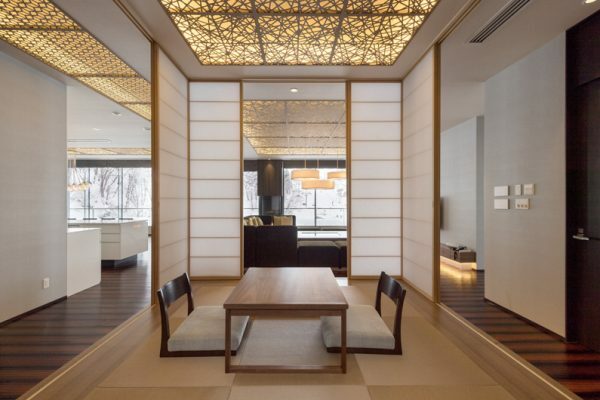 Don’t bother w Ginger as their buffet was rather limited. 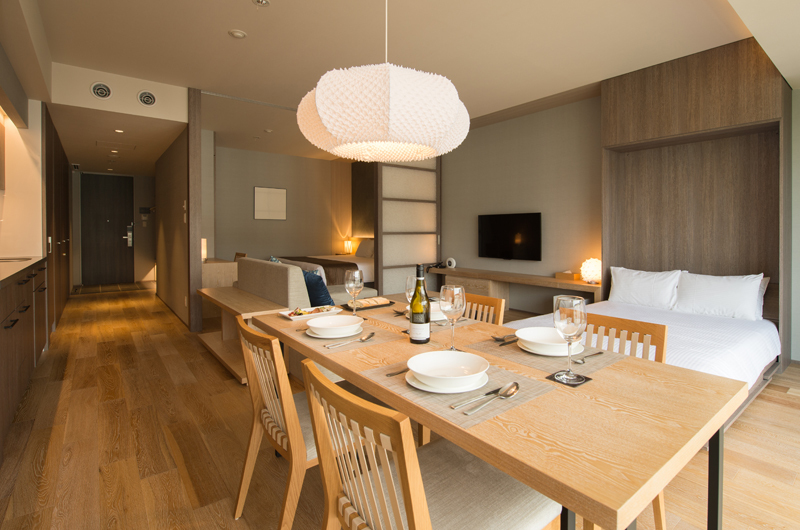 You are better off eating in or try the cafes located near the hotel. 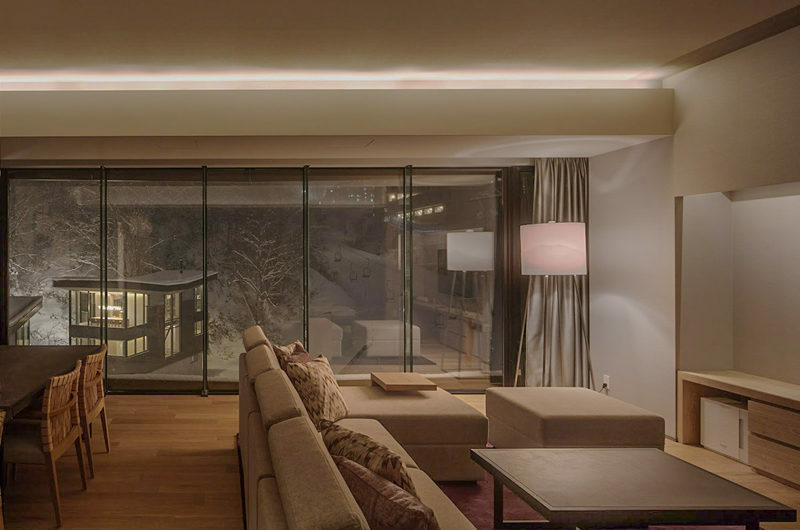 We had a wonderful week at Aya – the perfect ski in ski out resort. Spacious apartments with good service and onsen! Will be booking our next trip back when we get home! Special thanks to Ade at concierge who manage to get us in to our dinner venues as most places were booked out! Perfect holiday! Snow Crystal is a premium apartment building 50m from the Ace Family Chair lift in Upper Hirafu.